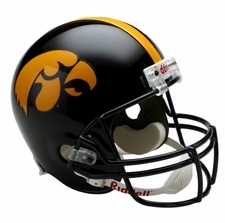 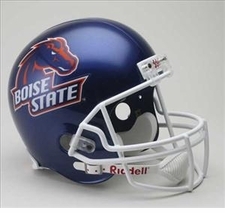 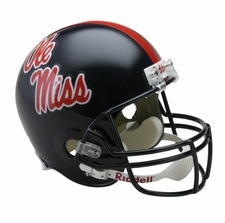 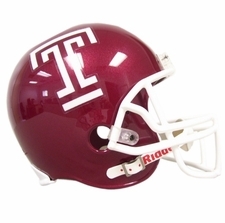 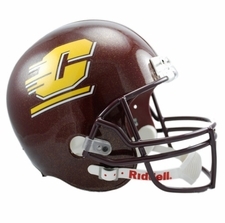 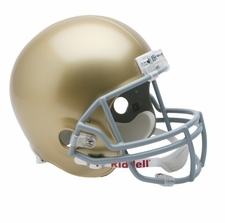 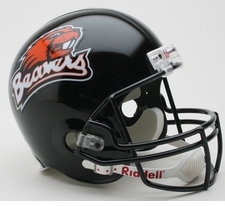 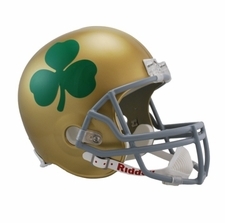 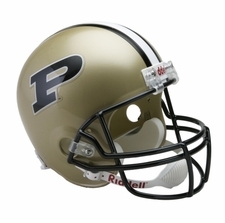 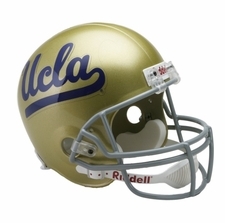 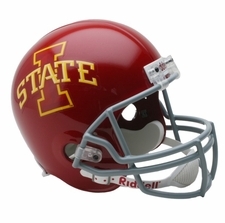 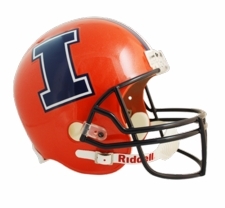 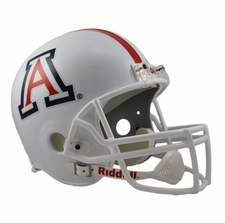 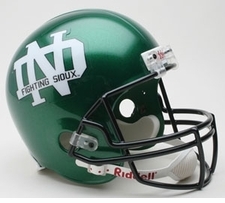 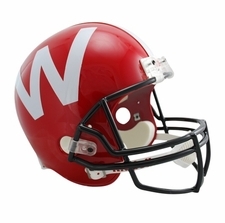 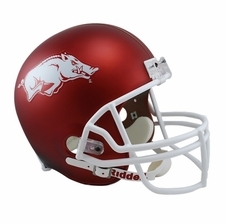 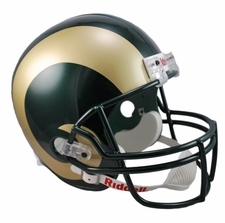 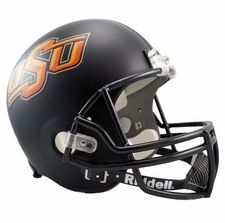 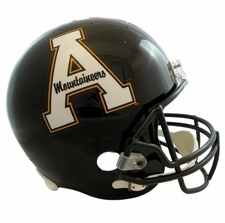 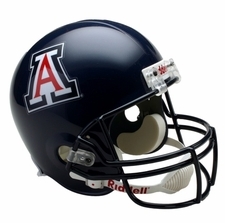 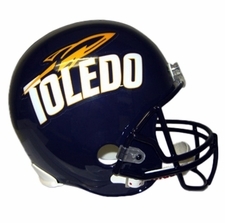 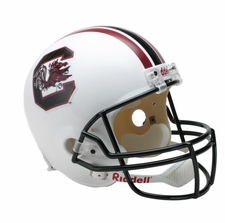 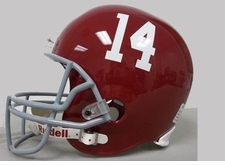 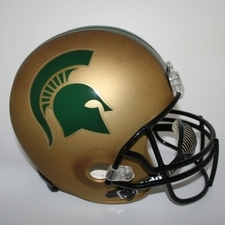 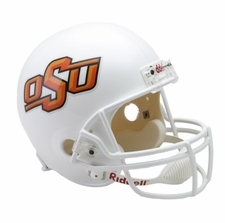 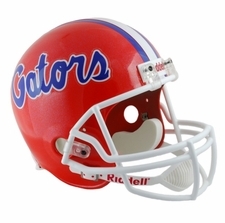 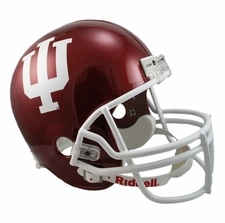 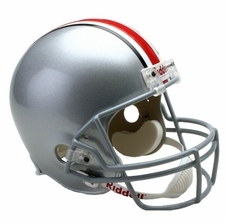 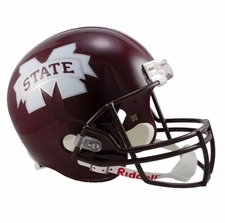 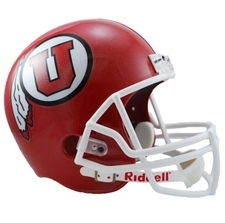 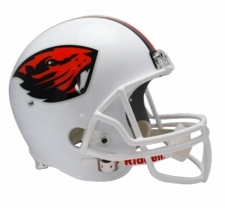 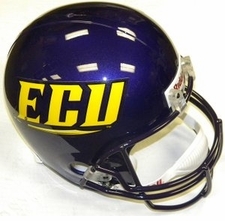 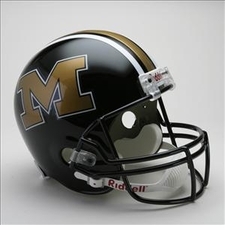 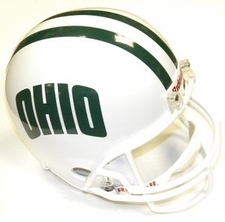 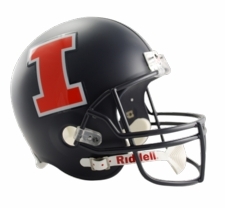 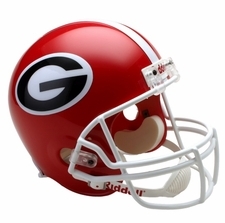 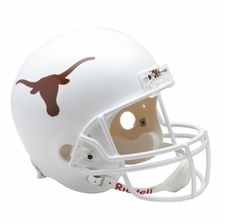 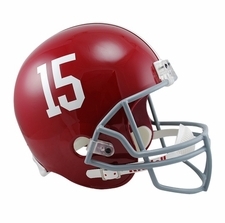 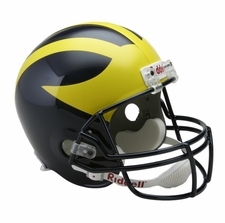 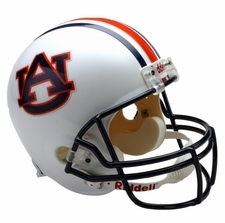 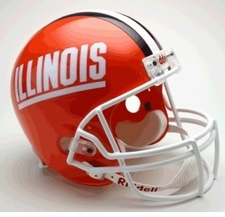 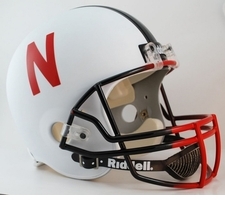 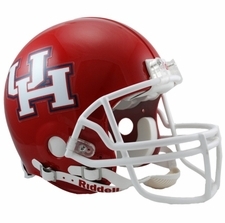 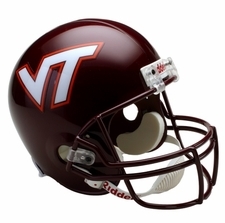 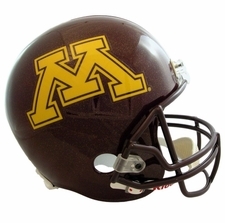 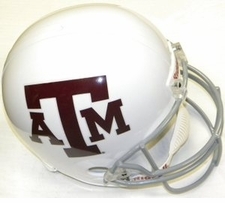 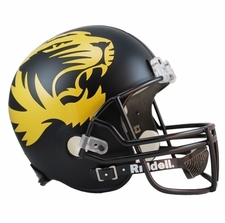 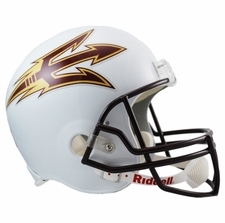 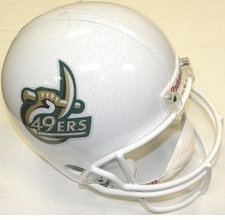 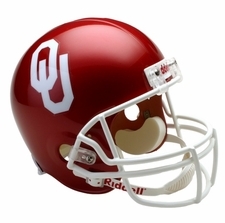 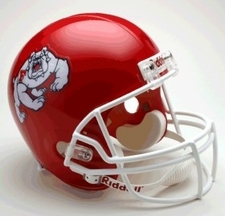 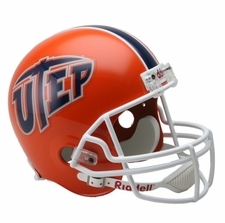 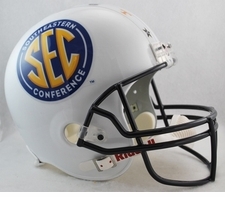 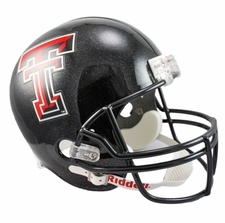 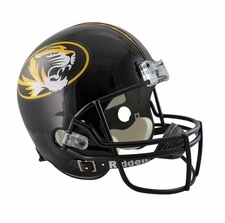 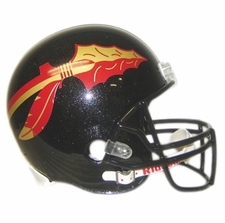 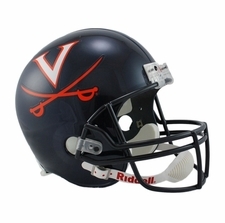 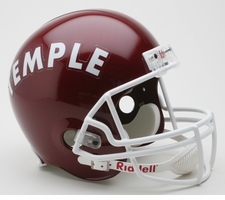 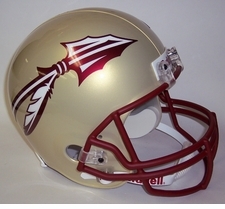 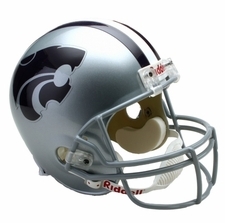 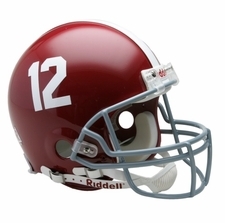 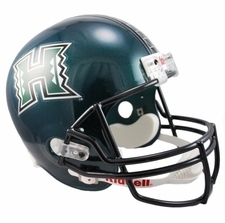 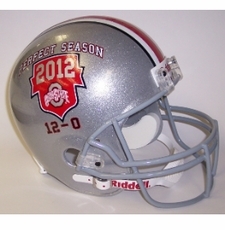 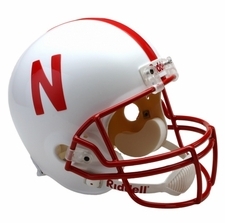 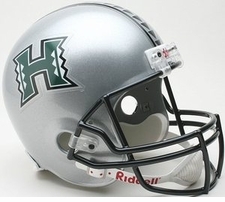 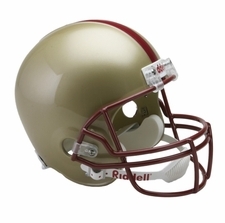 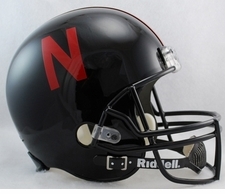 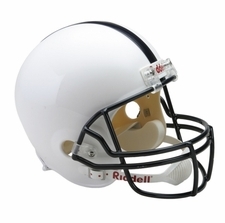 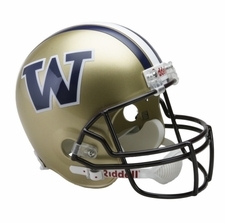 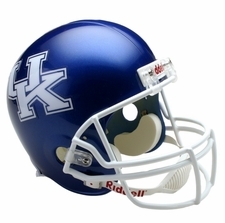 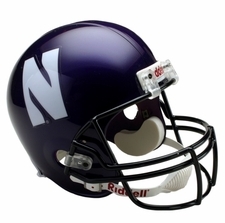 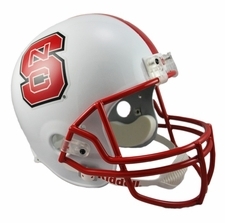 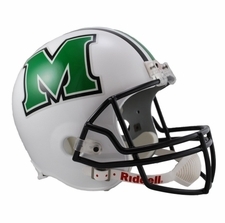 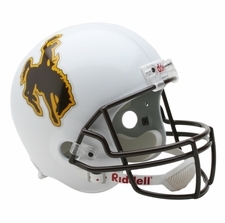 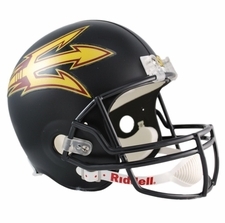 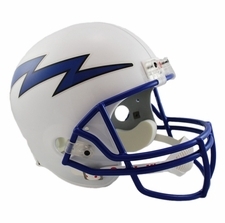 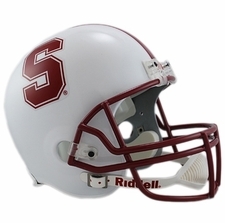 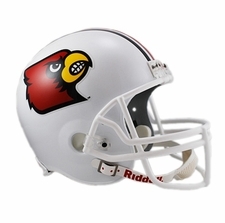 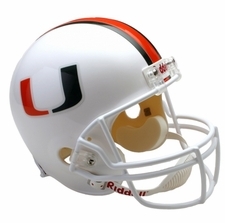 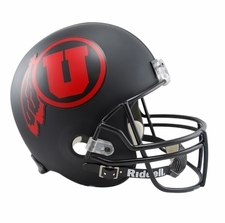 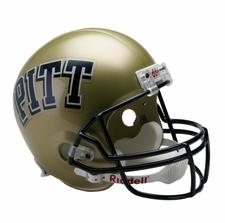 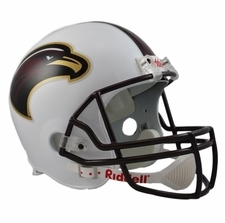 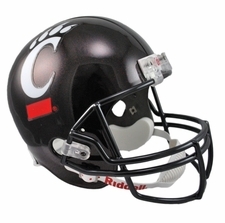 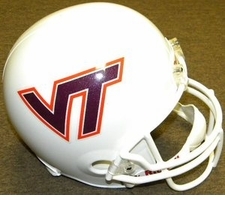 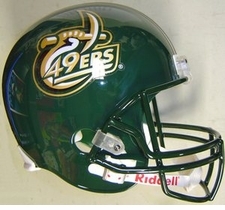 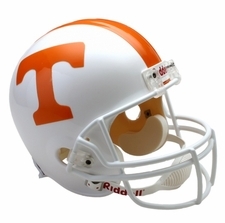 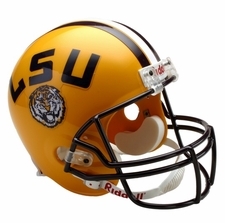 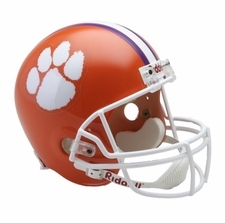 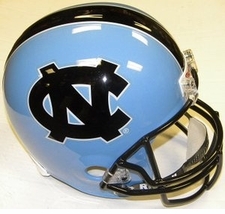 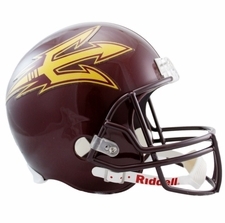 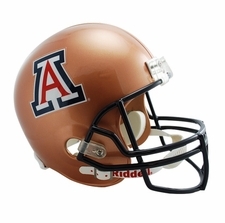 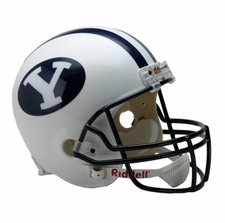 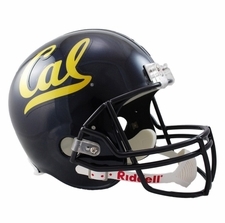 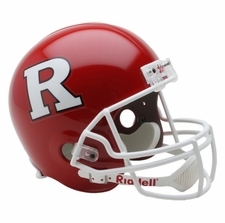 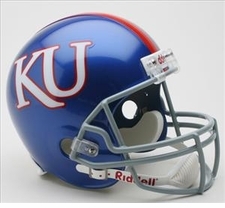 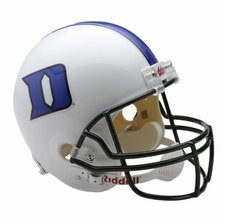 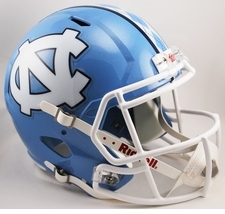 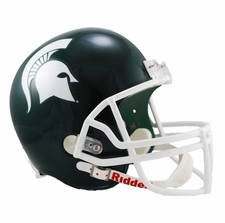 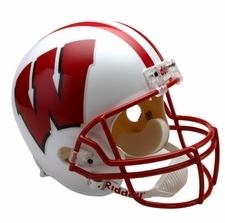 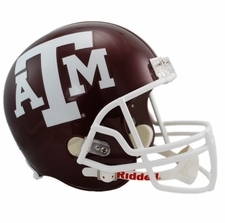 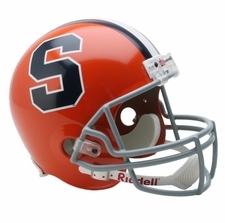 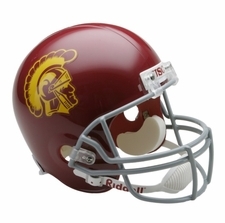 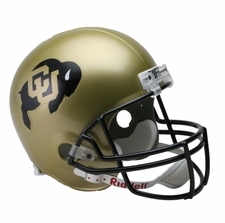 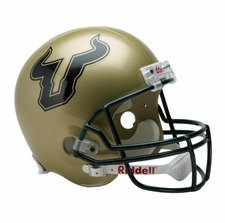 A Riddell Replica helmet is a finely crafted, full-size replica model of the actual competition helmet. 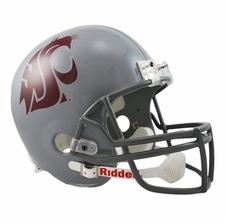 Each replica helmet includes authentic back and jaw pads, authentic steel faceguards, and official game style team decals and colors. 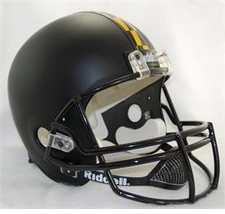 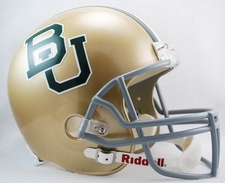 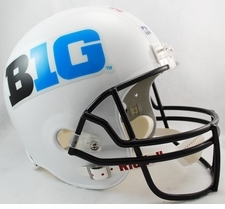 Replica helmets look just like the authentic helmets, but do not include full interior padding. 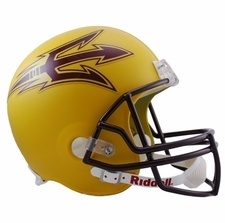 These helmets make great gifts, and are perfect for autographing.